Ask The Expert: How To Navigate Tow Vehicle Limits? 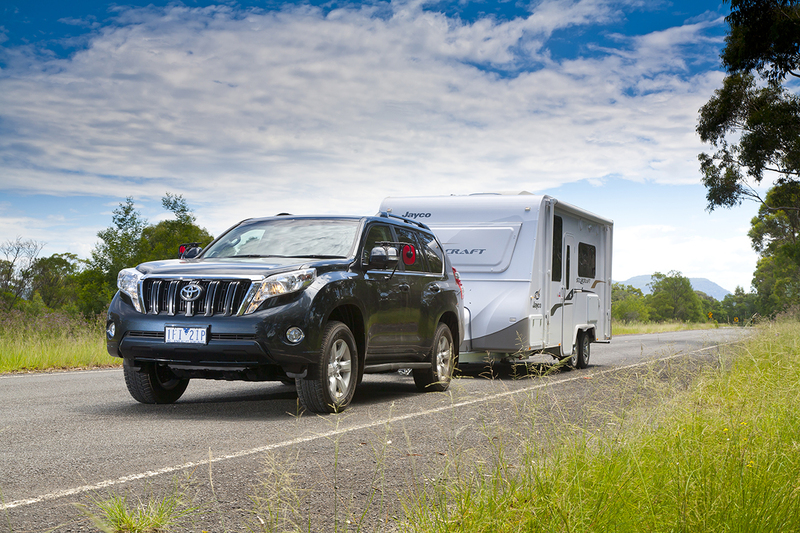 > Caravan > Ask The Expert: How To Navigate Tow Vehicle Limits? For those of us who tow, most tow ratings, meanings and limits are pretty well understood. If not, you can check out a basic guide here. However, the new wave of tow tug utes on the market come with a brand new set of ratings, limitations, changes and fine print, and getting your head around what it means for you and your towing dreams can be a difficult task. 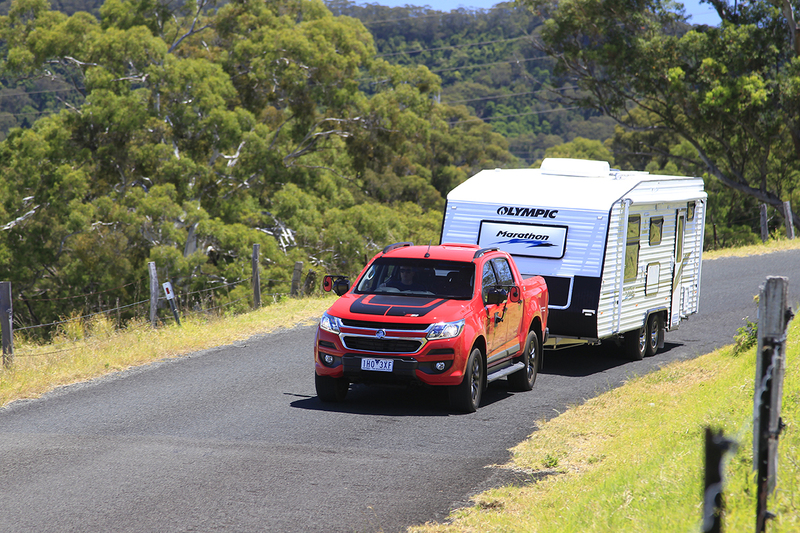 So we sat down with some towing experts – Caravan World reviewer Malcolm Street, Camper Trailer Australia tow-tester Dan Everett, and long-time adventurer and tow-pro Ron Moon – to find out what they all mean and why they’re all different! Q: MANY NEW VEHICLES (MOSTLY UTES) HAVE A 3500KG TOW CAPACITY; THAT MEANS I CAN EASILY TOW A 3500KG CARAVAN DOESN’T IT? Ron Moon:Currently there are six one-tonne utes on the market supposedly capable of towing 3500kg – the Mazda BT-50, the Ford Ranger, the Isuzu D-MAX, the Holden Colorado, Nissan Navara and the latest Toyota HiLux. In the small print of the manufacturers’ handbooks, however, you’ll find less publicised figures for gross vehicle mass (GVM), which is the maximum allowable weight of the vehicle fully loaded, and gross combined mass (GCM), which is the combined total weight of the vehicle and any trailer it is towing. You can bet your last dollar that there are very few rigs towing a heavy van that would be legal, given those figures. Dan Everett: Yes, your new dual-cab ute can officially tow a trailer weighing 3500kg, but not in any practical way. It’s a bit like saying you can live the rest of your life underwater if you really want to. I mean, technically it’s right, but you’re not going to like the fine print on that either. The reality is that most modern 4WDs are pushing their luck on the weight front as it is, making the tow rating – or braked towing capacity – more or less irrelevant. The problem comes from all the other weight classifications, and this issue plagues literally every model on the market. Q: I KNOW ALL ABOUT TARE, ATM, TBM, ETC, BUT HOW DOES THE VEHICLE’S GROSS VEHICLE MASS AND GROSS COMBINED MASS AFFECT WHAT I CAN TOW? 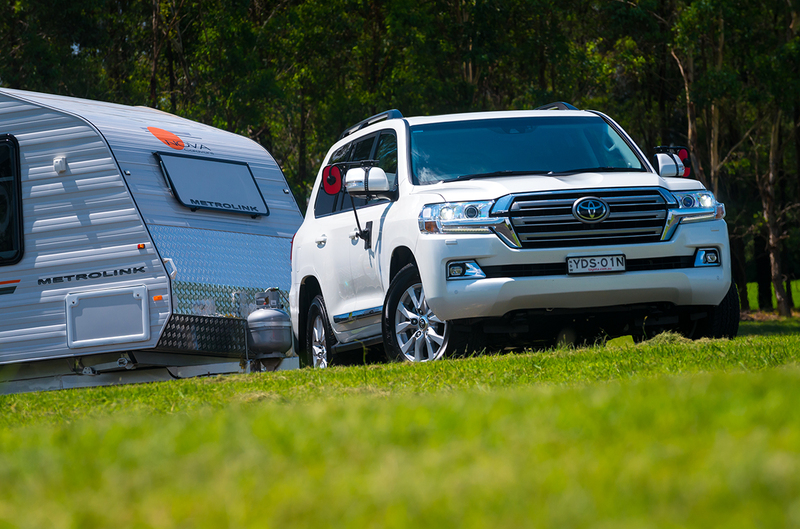 Malcolm Street: Until recently, the only people who really needed to consider GCM were those who tow fifth-wheelers, which is an incredibly small portion of the Australian RV market. However, since the recent market explosion of utes with very high towing capacities, GCM has quickly become very relevant to caravanners. For example, the Ford Ranger has a Kerb (Tare) Mass of 2111kg, GVM of 3200kg, GCM of 6000kg and a maximum tow capacity of 3500kg. Those figures suggest that the Ranger can tow a caravan weighing a maximum of 3500kg. But let’s presume you want to the load the Ranger with 600kg (four people and gear). You need to subtract the loaded vehicle mass (2111kg + 600kg) from the GCM (6000kg), and you’re left with 3289kg for the tow rating, which isn’t quite the same as 3500kg. It fares even worse if the ute is fully loaded to its 3200kg limit: 2800kg tow capacity (6000kg – 3200kg). Dan Everett: Very rarely will a vehicle be legally allowed to tow fully laden to its full rated towing capacity due to the constraints imposed by its Gross Combined Mass (see GCM, left). In most cases, every 100kg you add to the tow rig will mean 100kg less you can actually tow. 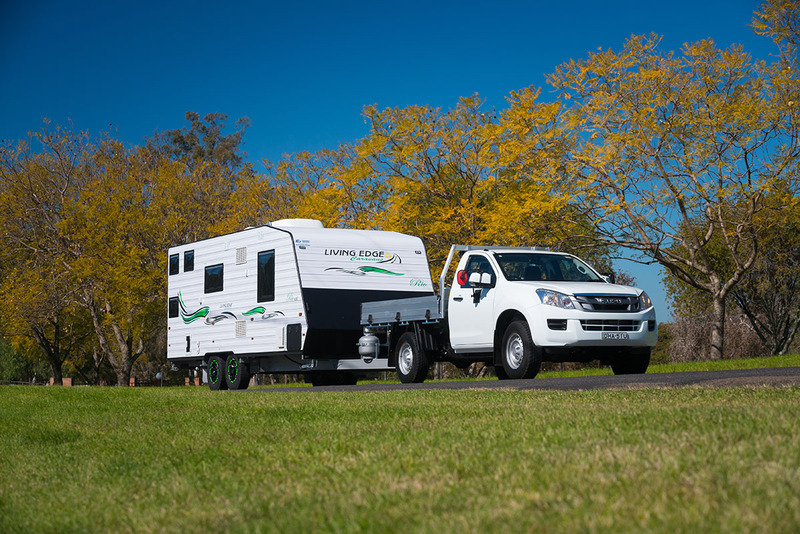 By the time you add the standard accessories that come with this territory, you might find your 3500kg tow rating has actually been dropped down to 2500kg. Q: IF MY RIG IS LEGAL, THEN IT’S SAFE, ISN’T IT? Dan Everett: Unfortunately, there’s a big difference between what is considered legal, and what should be considered safe. For the last 100 years or so, the rule of thumb has been that the trailer should weigh no more than around 80 per cent of the vehicle’s unladen weight, up to a maximum of 1:1 if the driver really knows what they’re doing. In fact, in varying figures, the 80 per cent guide is actually law in parts of Europe, but down here in the land of the long regulatory rule book it’s, ironically, a bit more of a free for all. The logic of the 80 per cent rule is that the trailer weighing less than the tow vehicle means it won’t be able to muscle the car around on the road. Dangerous side winds, emergency braking and fast cornering won’t see the trailer physically pushing the tow-rig around causing it to lose control or for the trailer to begin swaying. 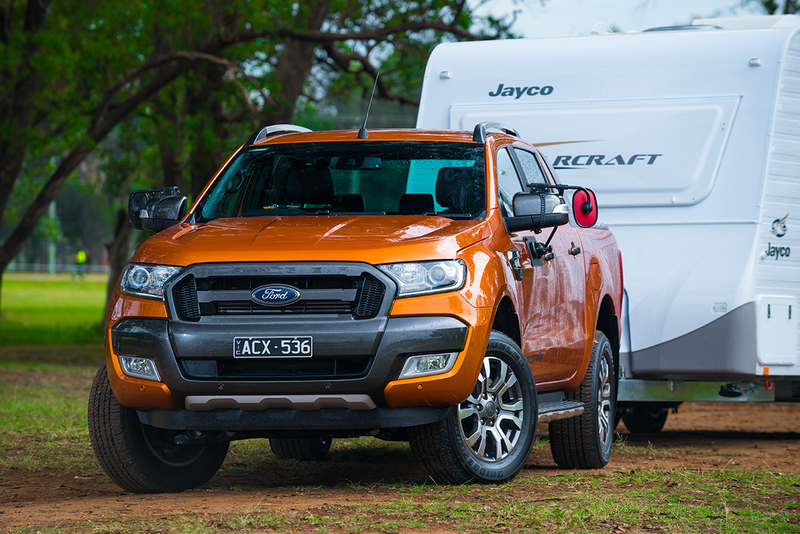 The 80 per cent rule would see the Ford Ranger’s tow rating drop from 3500kg to somewhere around the 1500kg mark. For example, the a Ford Ranger weighs in with a kerb mass of 2111kg, while the LC200 tips the scales at a heftier 2640kg. Those 500 or so extra kilos make for a much more stable tow vehicle once you’ve got a caravan on back. Even if your ute and van combo is legal, you may find the ute scrabbling for traction uphill or having difficulty cornering safely going downhill. Ron Moon: Yes. The weight discrepancy means you can also easily get into a situation where the tail ‘wags the dog’ upsetting the balance of the ute and badly influencing steering and braking. 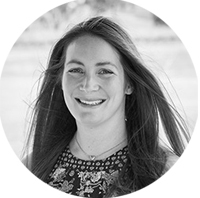 Q: THE ‘INDUSTRY-STANDARD’ PAYLOAD OF 300KG (SINGLE-AXLE) AND 400KG (TANDEM-AXLE) ISN’T ENOUGH FOR ME; MY CARAVAN MANUFACTURER INCREASED MY PAYLOAD TO 1000KG SO I CAN PACK WHATEVER I WANT NOW, CAN’T I? Malcolm Street: If you choose to load the van up to its maximum ATM, this obviously impacts on your choice of tow vehicle. However, and this often causes confusion among vanners, legally, the vehicle must be rated for the actual loaded weight of the van, not necessarily the stated ATM. For example, let’s say a van has a Tare mass of 2500kg and an ATM of 3500kg (payload 1000kg). If you are careful with your loading and your never go over 3000kg, then it can be legally towed by something with a tow rating of 3000kg. If, however, you want to load up to the maximum ATM of 3500kg, you need a vehicle with a higher towing capacity. Q: IF MY GVM IS, FOR EXAMPLE, 3000KG, I CAN ALWAYS LOAD MY CAR RIGHT UP TO THAT LIMIT, CAN’T I? Malcolm Street: Not always. In the fine print of some vehicle handbooks, such as the Nissan Navara and Mitsubishi Pajero, there’s a sliding scale which reduces the vehicle’s GVM as the tow ball mass of the caravan increases. So, with a tow ball mass of 200kg, the GVM of the Navara is reduced by 280kg. Q: I HAVE A TOW VEHICLE WITH A TOW CAPACITY OF ONLY 2500KG – I’M NEVER GOING TO BE ABLE TO TOW A NEW, FULL-SIZE VAN AM I? MODERN VANS ARE ONLY GETTING BIGGER AND HEAVIER! Malcolm Street: Not true. 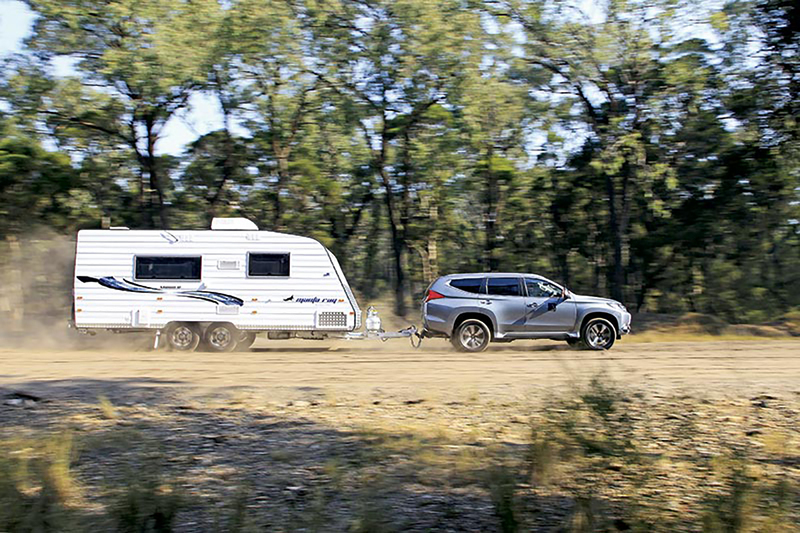 The popular Toyota Prado has long had a maximum tow rating of 2500kg which, despite its popularity, is often lamented as not being high enough. However, I think it’s had a positive impact on the industry as it has encouraged many caravan manufacturers to build more caravans which meet this so-called ‘Prado-Friendly’ limit with ATMs of 2500kg or less. SHOULD I STILL BUY A UTE AS A TOW VEHICLE? Malcolm Street: Yes, of course, as long as you are aware of the weight limitations and how to calculate them. Most modern utes are very capable vehicles and tow very well. 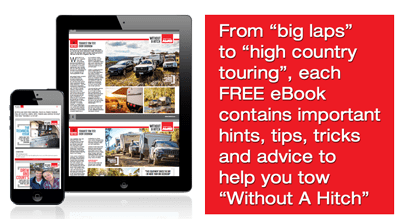 They are certainly ideal for small to medium-sized caravans, however, I’d be avoiding the very big, heavy rigs around the 3000-3500kg mark for the reasons described above. Ron Moon: Dual-cab utes are popular because they can be so many things to so many different people. Towing big heavy vans more than 2500kg (loaded), though, is not one of them, as far as this writer is concerned. 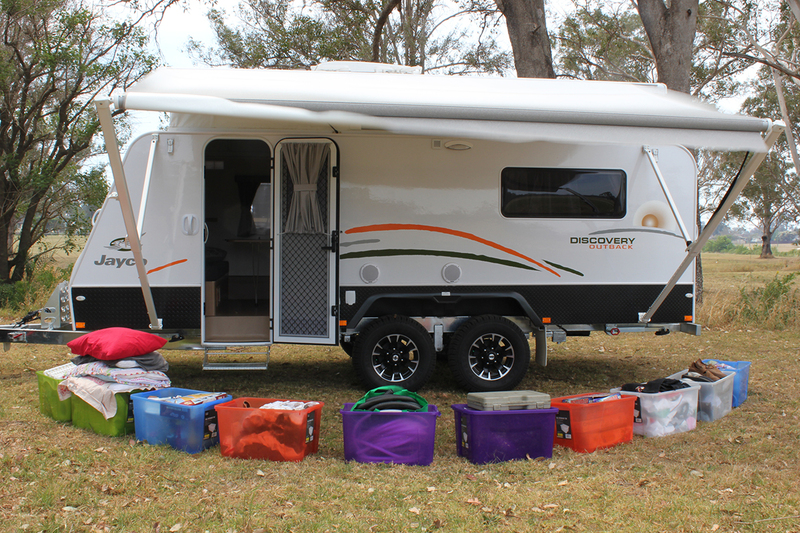 Sticking to a camper trailer or a small van weighing in at less than 2000kg and getting a suspension upgrade would be a great start to a holiday.